If you've noticed the fluctuating value of Bitcoin and want to see if you can profit, our conveniently located ATMs allow you to stop and buy more cryptocurrency whenever the price is right. Maybe you're someone who spends Bitcoin at the growing number of online shops and establishments that accept cryptocurrency, or maybe you just want to see what all the excitement is about. 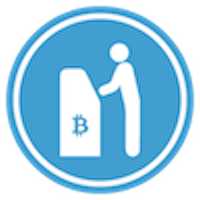 No matter how you want to use your cryptocurrency, Pelicoin's Bitcoin ATMs will help you purchase Bitcoin, Litecoin, or Ethereum quickly and safely. Our machines work like any other ATM, making it easy to turn cash into cryptocurrency. Each Pelicoin Bitcoin ATM is located in a friendly, trusted establishment that is open late or 24 hours a day for your convenience, and you can always call our support number for assistance. Head to your closest Pelicoin ATM to buy Bitcoin from the most secure cryptocurrency ATM network in the Gulf South.